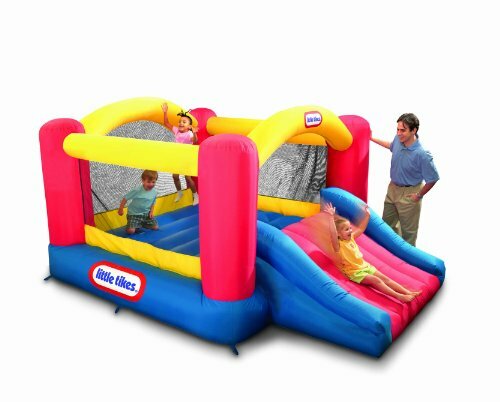 Kids can jump, slide and bounce in this Little Tikes Jump 'n Slide inflatable bouncer. A fun, bouncy house design offers a large area for several children and a fun slide. The Jump ’n Slide Bouncer will inflate in minutes and folds compactly for easy storage. Maximum combined weight limit: 250 lbs. Three mesh slides protect children, and let parents watch the fun.